Atlas spends his “day off” on one of the benches near the Reflecting Pool. Though it’s technically fall, the sun’s warmth on his skin feels more like summer. Perhaps it’s something about the title Reflecting Pool, its call for careful consideration, but the minute he steps off of Constitution Avenue onto the tree-lined path that indirectly leads him to his favorite reading spot, his mind becomes crystal clear. Though only a few months earlier Atlas was a tourist in this city, he now feels like a native as sneakered visitors with fanny packs and laminated maps pass by his bench. They snap identical pictures of the Lincoln Memorial, and occasionally ask Atlas to get a group photo as they all try to squeeze into the frame of calm water and trees. Sweat glosses their faces, even in the cooler shaded areas. Atlas expects to be interrupted by these visitors, but he does not expect to look up from Corelli’s Mandolin and see Aria’s familiar face. Her hair is pinned up in a messy bun, a few of the purple streaks forming curls that fall down her back, and Atlas notes that she has a pretty face, more visible with her hair out of her eyes. Her body is that of a long distance runner, all lean yet firm. She wears a t-shirt straight out of Atlas’s forbidden closet—today is a Beatles day—yet her neon yellow shorts and running shoes make her look strangely peppy. Aria stops in front of him. “Hey stranger,” she says between heavy breaths. “Hi. Out for a run?” He asks, then immediately realizes how dumb he sounds. “Every afternoon.” She removes a piece of paper and pen from a hidden pocket attached to the back of her running shorts. “Running clears my head, and I always get a few good ideas for poems that I jot down and finish when I get back to my room. Mind if I join you?” She points to the space next to him on the bench. “Sure, go ahead.” In truth he hates being interrupted while he reads, but for some reason he doesn’t mind Aria’s quiet company. As soon as she settles into a comfortable cross-legged position, she rapidly scribbles several fragments on the slightly damp piece of notebook paper. “How do you like it?” She points to the novel. “The book, or relationships?” she asks. Mary would have a panic attack if she listened to their friendly flirting. Not only is Aria not Esperanza, but she’s the polar opposite of the popular party girl. 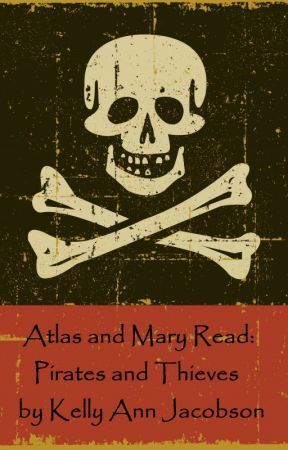 A friendship with her would label Atlas the adjective Mary fears the most at this point in their mission: unpopular. Yet as much as he knows he should end the conversation, Atlas can’t bring himself to close the book, tuck it under his arm, and walk home. “What school did you transfer from?” he asks as Aria tightens her sneaker laces.